1:35 a.m. Steamboat Springs Police Department officers were called to a report of threats in the 2000 block of Walton Creek Road. Someone outside yelled “you will get what you have coming.” The comment was believed to be related to parking issues that resulted in citations. 8:49 a.m. Officers were called to a report of a person sitting in a car who was possibly on drugs in the 200 block of Anglers Drive. Everything was fine. 12:24 p.m. Officers were called to a report of a shoplifter fleeing on foot in the 1800 block of Central Park Drive. The shoplifter stole a salmon tray and donuts. Police could not locate the shoplifter. 2:39 p.m. Steamboat Springs Fire Rescue firefighters were called to a report of a vehicle fire in the 1300 block of Dream Island Plaza. 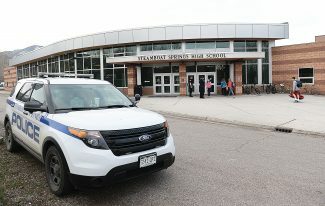 5:38 p.m. Officers were called to a report of marijuana found at Colorado Mountain College Steamboat Springs. A summons was issued. 6:19 p.m. Steamboat firefighters were called to help a person who fell in the 2800 block of Owl Hoot Trail. 8:18 p.m. Officers were called to a report of two guests having an argument at a motel in the 900 block of Lincoln Avenue. Police mediated the situation. 8:49 p.m. Officers were called to a report of a man refusing to leave a bar that has pool tables in the 900 block of Lincoln Avenue. He had been “skipping balls on the table.” He left when police arrived. 9:54 p.m. Steamboat firefighters were called to help a person who had a stroke in the 800 block of Mauna Kea Lane. 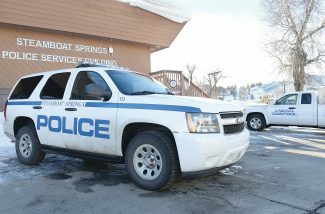 • Steamboat Springs Police Department had 28 cases that included calls for service and officer-initiated incidents such as traffic stops. • The Routt County Sheriff’s Office had 21 cases that included calls for service and officer-initiated incidents such as traffic stops. • Steamboat Springs Fire Rescue responded to 10 calls for service.